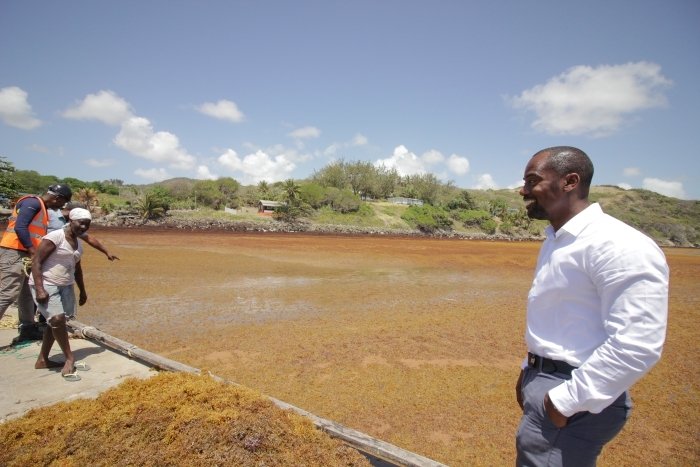 A new and innovative approach to harvesting sargassum seaweed is now under way at Consett Bay, St. John, and is expected to generate employment and economic benefits for the island. That approach would see sugar cane loaders and conveyor belts being used to harvest the seaweed from the beaches and sea. 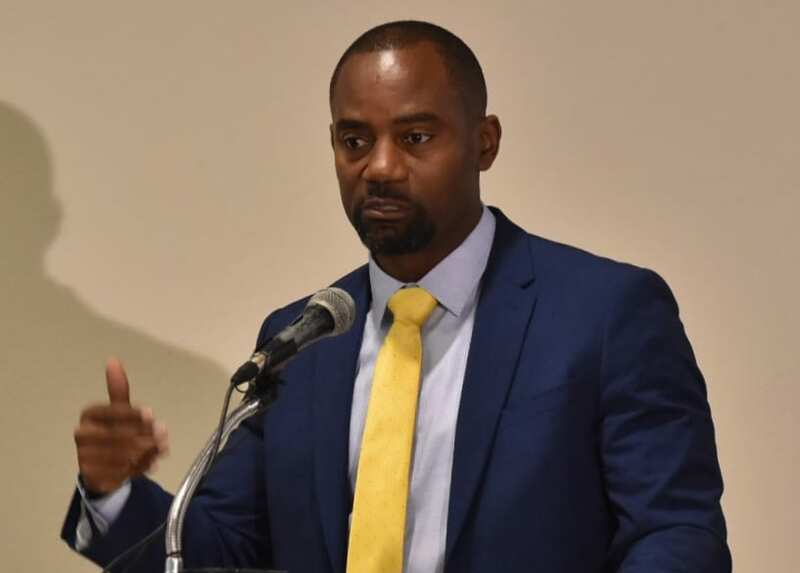 It will be taken to the Barbados Agricultural Development and Marketing Corporation (BADMC), where it would be spread across 10 acres of land to aid in the production of food crops not usually found in Barbados. The seaweed would effectively be transformed into an energy source and used as a fertiliser. 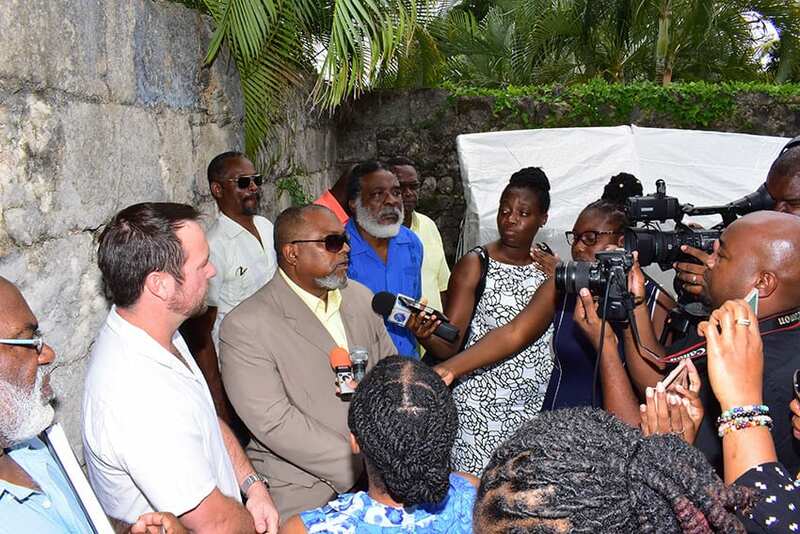 Speaking at the start of the partnership, which involves the BADMC, Biogen Biotechnologies Inc. (BBI) and Seaweed Plus, Minister of Maritime Affairs and the Blue Economy, Kirk Humphrey, lauded the initiative, while pointing out that Government could not tackle the problem alone. “What we have done is to recognise as a Government that we need help, and there are people with the technical skills, experience, passion and drive to come out and make a difference in terms of utilising what is now presenting itself as a problem and turning it into an opportunity. 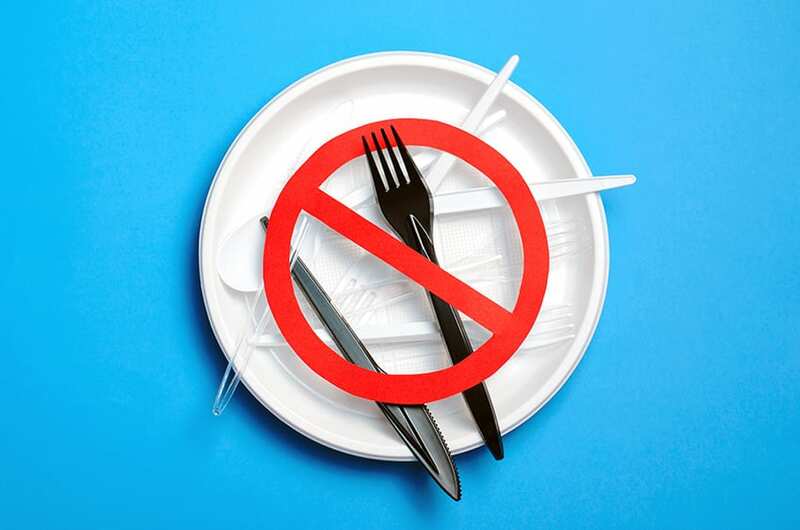 …This is innovation in an area that needs innovation,” he said. Mr. Humphrey added that through the partnership, it was expected that Barbadians would “see something amazing” happening with the seaweed. He explained that his Ministry had taken the approach of developing relationships with other Government ministries and private sector agencies to create innovative ways of capturing the seaweed and developing it for the market in various ways. 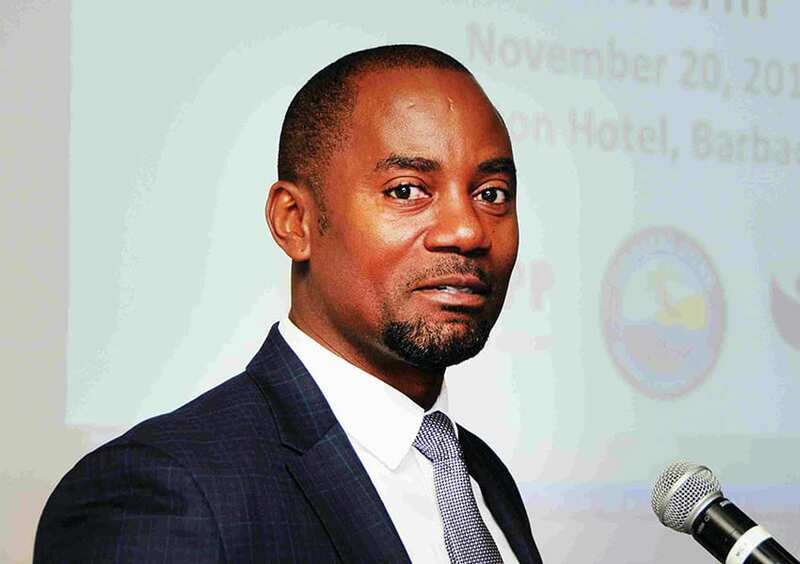 Chief Sustainability Officer at BBI, Mark Hill, said that with an average of 50,000 tonnes of seaweed washing in on beaches annually, the sugar cane industry had the capacity to handle such volumes. 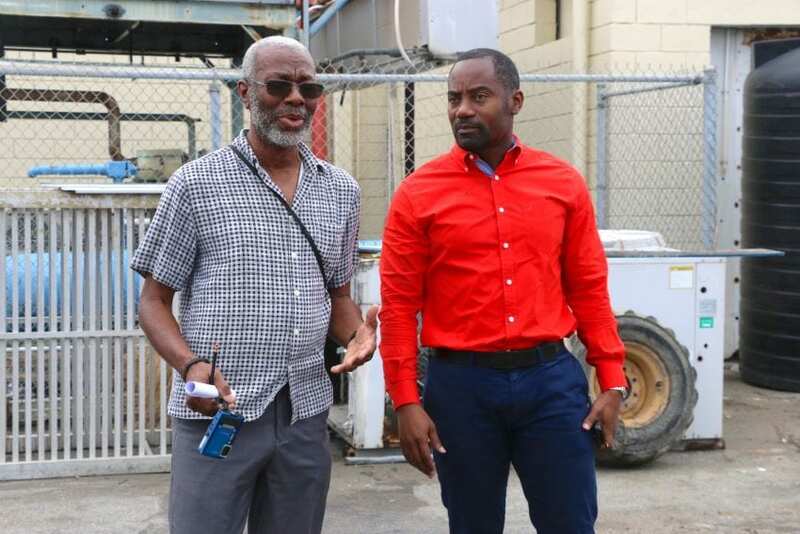 He explained the sugar industry had cooperated by providing the bell loader, which loaded eight tonnes of seaweed in the small lift before placing it in a bigger bin. This, he said, allowed them to move between 20 to 30 tonnes of sargassum at one time. Mr. Hill added that a conveyor belt should soon be made available to aid in harvesting the seaweed. “That is also coming from the sugar cane industry. We would put the conveyor belt in the water and as they load it, it goes straight on to the truck,” he explained, noting it would reduce the amount of manpower required through a more industrial solution. Once harvested, the seaweed is transported to 10 acres of BADMC land at Inch Marlow, Christ Church, as part of a pilot on sea compost. That part of the project involves allowing the seaweed to break down before imported crops such as grapes and cauliflower are grown locally. In addition, Mr. Hill disclosed that there were also plans to produce bio-methane gas, which could be used for cooking or in vehicles. “We can show people how they can convert their car to a bio-methane and get a cheaper form of fuel,” he said, noting that in the future, tropical gases would also be used. 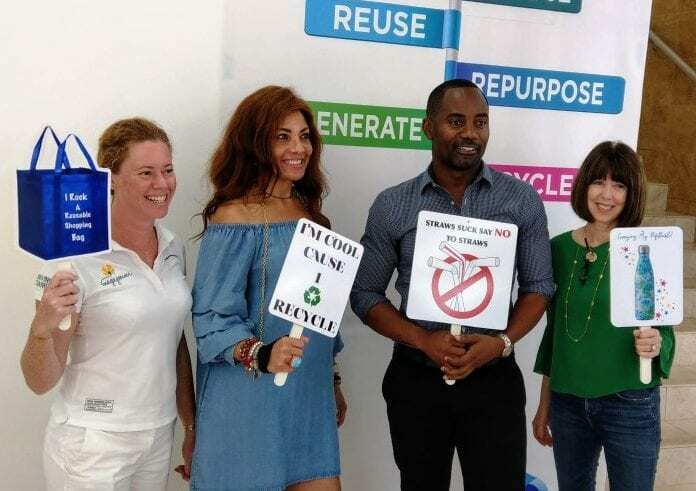 Meanwhile, Human Resources Manager at Seaweed Plus, Imran Richards, explained that the sargassum seaweed could also be used as a fertiliser, and a new product was set to enter the market from as early as next week. “We currently have about five young men employed to help us to harvest the seaweed, and then we will move it to the production phase. 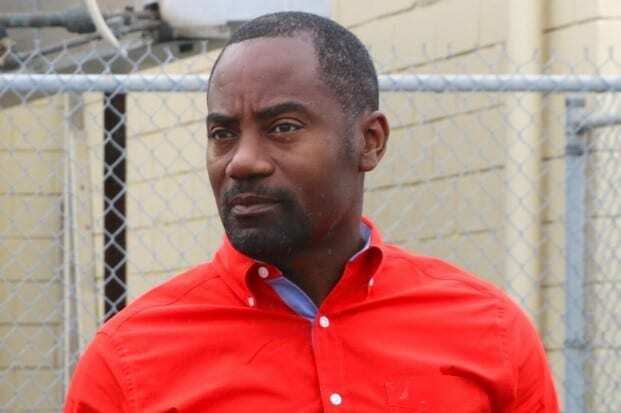 We are hoping to bring a product to the market within the next week so the Barbadian public can begin to support youth employment, while being able to use a product that can enhance their own crops,” he revealed. 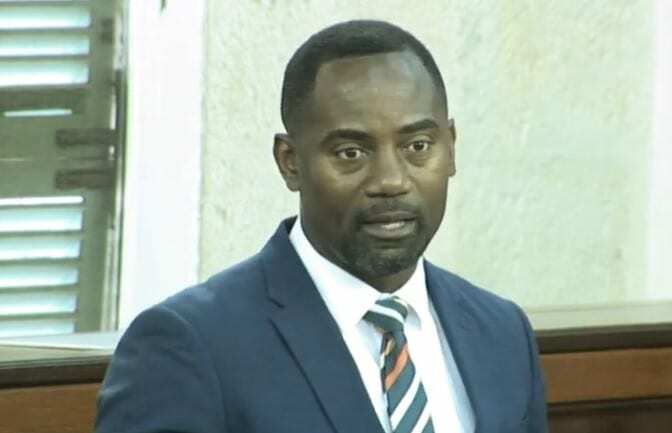 Lauding the efforts being made to tackle the sargassum seaweed, Minister Humphrey said he believed the fertiliser would be a good addition to the agricultural industry when it was introduced to the market, and recommended it for daily use in gardens. He also pleaded with the public for some time to address the issue. “It is a big problem. 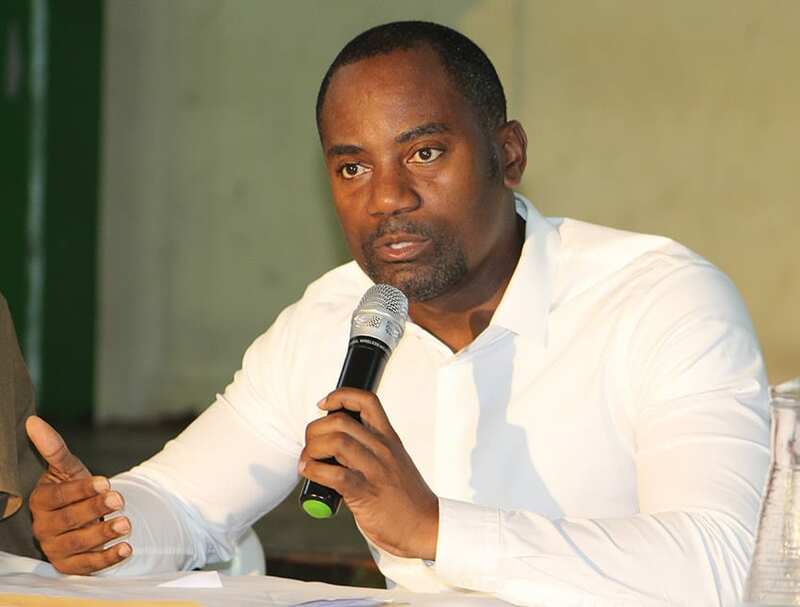 The magnitude is massive…Turn it into an opportunity, either an economic activity, a food source or as an employment opportunity,” he advised.